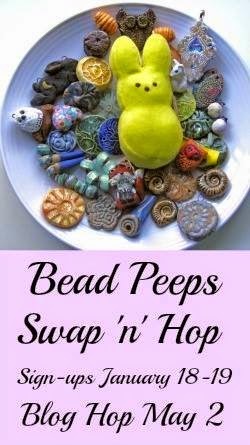 From the Bead Board : 2017 3rd Annual Bead Peeps Swap N Hop Reveals!! Delightful pieces Linda! I love them all! Thank you for being our hostess...I always look forward to the Swap N Hop and this year is no exception. Can't wait to see what everyone else creates! Wonderful pieces Linda. Love the birds nest clasp necklace and pretty bracelet. The fox necklace works really well, the focal really is adorable. Thank you for hosting now I'm off hopping. I adore the fox necklace. The design, the colors, I love it all! Thanks you for all of the work that you did to make this blog hop possible. You are the best! Thank you so much for all of the work that you put into hosting this hop. It's always so much fun. 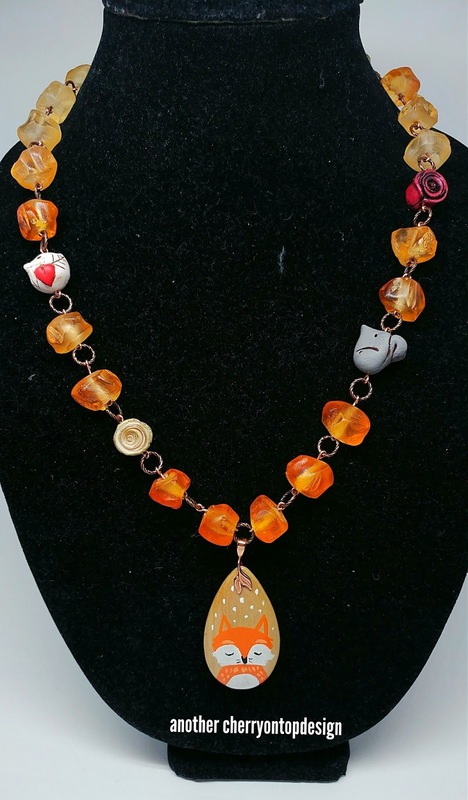 Being a big fan of orange AND foxes I am utterly, utterly in love with Mr Foxy necklace. It's an absolute beauty. And such beautiful touches on your swap pieces - the birdy nested in the class is genius. Sigh! Such gorgeousness! Oh, you made some beauties for sure!! That necklace SCREAMS spring! It had a lot to do with the colors you were sent, but your use of them is awesome. 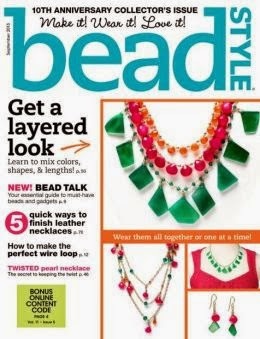 The number of techniques included in that one necklace is inspiring. As well, the fox necklace is absolutely adorable. I don't wear much orange myself, but would have to with that! Thanks for all your hard work on the hop. I hope you enjoy the fruits of your labor. Thank you for doing the blog hop. It was lots of fun. I like your pieces a lot. My favorite is the bracelet. It looks like something I would wear a lot. Amazonite is a favorite of mine so I love your set. 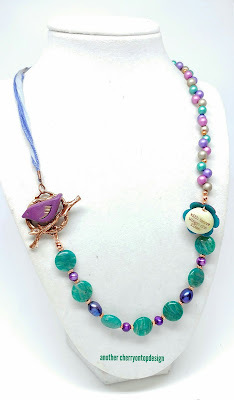 The bird on the clasp is very creative. Kudos to you for using something new. I'm not an orange person either but your fox is adorable. Thank you for hosting this fun hop. The challenge to give your best is what I like most about the swaps! 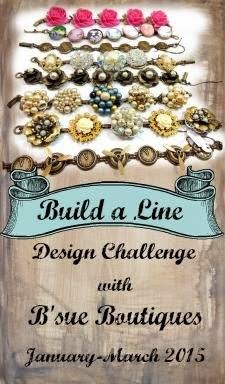 For me, the necklace to bracelet convertible piece is just about that - not only did you try a new technique but also came up with a unique piece of jewelry and made a clasp look like a focal! 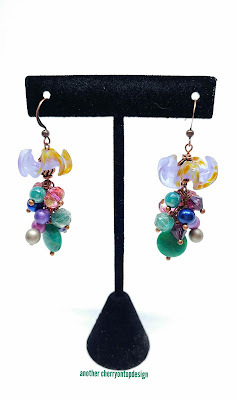 Of, course, I love all the pieces - they are bold, asymmetrical and will never go unnoticed! What a lovely set. The fox stole my heart though. Thank you for putting this together for us. I look forward to it all year. I love the vibrant colors. The orange is LOVELY. 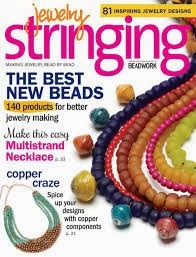 Your jewelry designs are constantly evolving! 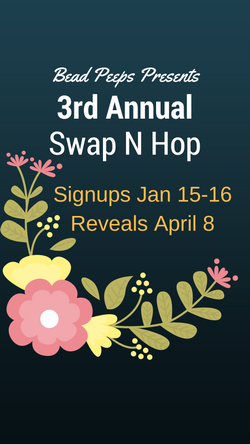 All of your Swap n Hop Jewelry is unified by color & style. Thank You So Much for Having this Fun Swap n Hop! Lovely work! Even though you said you don't work with orange much, I love what you did with the fox pendant. 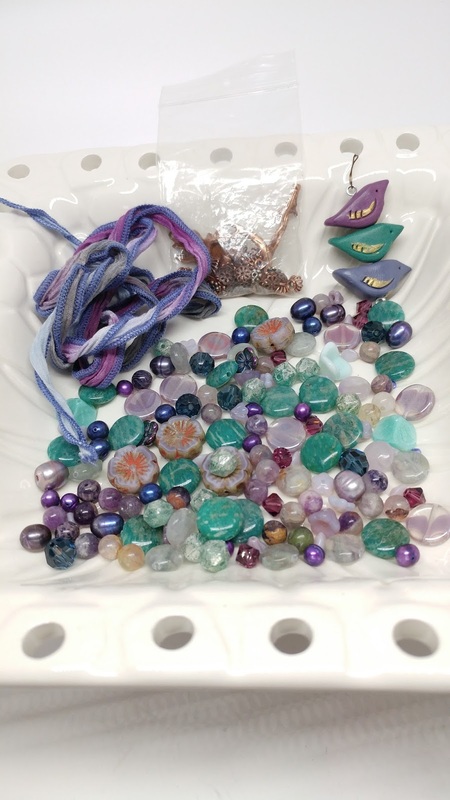 Very pretty pieces. Thanks for hosting such a fun exchange and hop! I LOVE that bird twisted on the clasp! It looks so perfect!